We all have wonderful and complex immune systems that protect us from evil foreign invaders such as harmful bacteria and viruses. When such an invader enters the body, the immune system detects it and then a whole host of complicated reactions take place to rid the body of the invader. When everything goes right, the immune system works to guard us against harmful pathogens. But for some of us, due to either a genetic predisposition or some other factors, our immune system goes into overdrive over some external substance that is not really harmful to our body, such as dust, pollens, cat dander, funguses, or certain foods. These things could just circulate in our body, and nothing bad would happen. Unfortunately, sometimes our immune system does not understand this, and it causes typical responses such as sneezing, coughing, wheezing, fever, the secretion of mucus, watery eyes, and inflammation of different parts of the skin. This is an allergy. 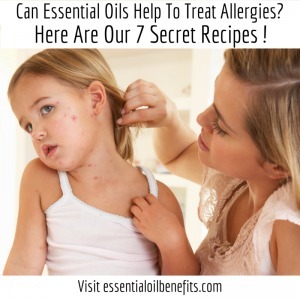 But the question you may be asking is: How Can Essential Oils Help With Allergies? In first place, Essential Oils for allergies can help to ease or eliminate typical allergy symptoms quickly and naturally. It isn’t 100% clear how this happens, but some Essential Oils seem to have strong anti-inflammatory properties, while others help to soothe itching and irritated tissues. Still other Essential Oils work to relax constricted airways and reduce mucus production. 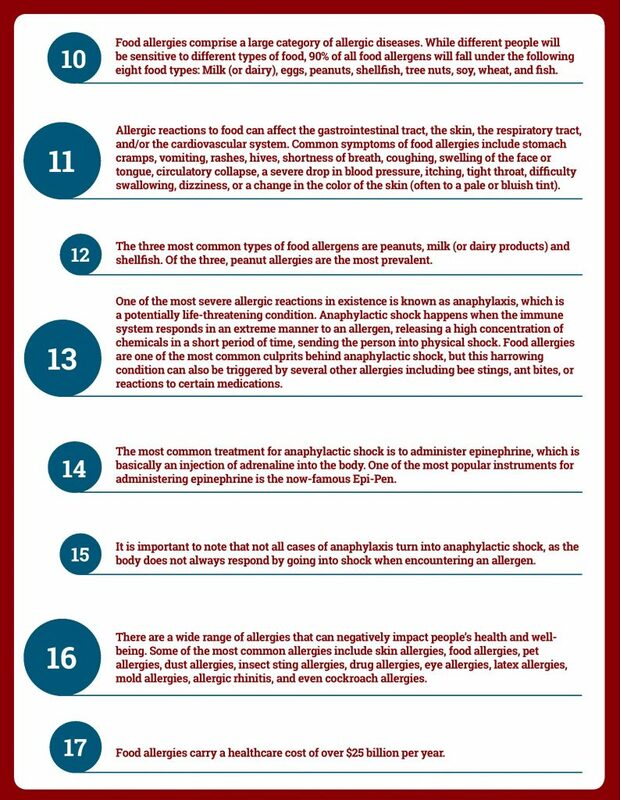 In addition, Essential Oils can help prevent new allergy breakouts. Again, we have to mostly speculate how this happens, but it appears that some Essential Oils, such as Lavender, have antihistamine properties. 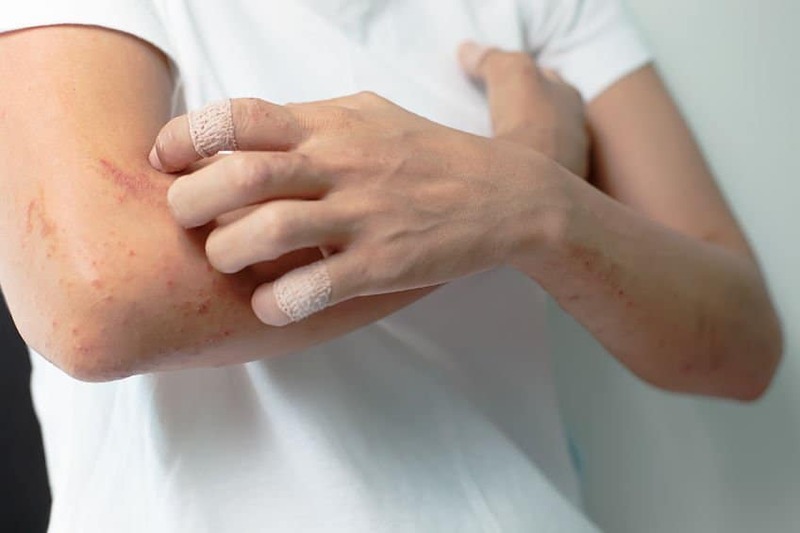 Histamine is a substance produced by the body that is involved in the allergic response, and antihistamines neutralize the activity of this substance, effectively preventing a new allergy from breaking out. Finally, Essential Oils can help to actually eliminate some of the allergens that might be causing you misery. Many people are allergic to various fungi and spores, and various Essential Oils have been known to have antifungal properties. 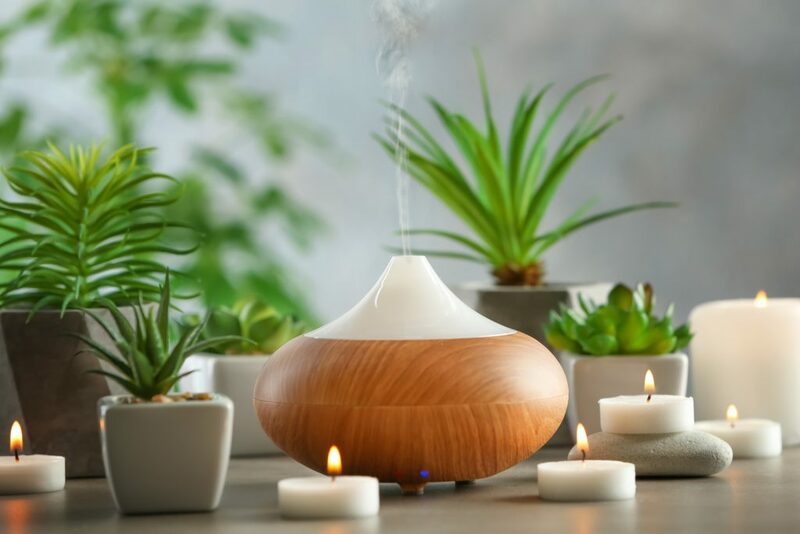 Diffusing such Essential Oils in an environment clouded with allergy-causing spores can be another way of overcoming your allergies. 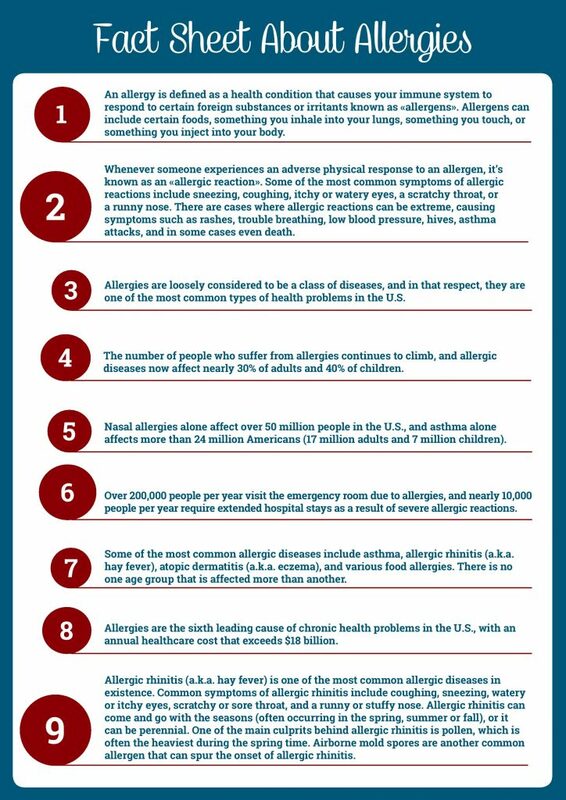 The two images below show 17 facts about allergies. What Are The Best Essential Oils That Help In Fighting Allergies? Lavender is probably the most popular Essential Oil, and there are literally hundreds of uses for it. Due to its antiseptic and anti-inflammatory properties, it is useful in healing cuts, burns, and skin irritations, as well as fighting other skin problems such as acne and bug bites. It soothes nerves and muscle pains. According to experts, Lavender Essential Oil has antihistamine properties, making it very useful in fighting allergies. Peppermint Essential Oil is useful in fighting fatigue and depression. It has also been studied scientifically and found to help with restoring the digestive system, and easing symptoms of irritable bowel syndrome. Peppermint Oil can offer pain relief, and when used on the skin, it can reduce itching and redness. Peppermint Oil should not be used undiluted on the skin, as it can cause irritation. Lemon Essential Oil has strong antioxidant and antiseptic properties. It has been found to improve mood and concentration, as well as to cut down acidity in the body. 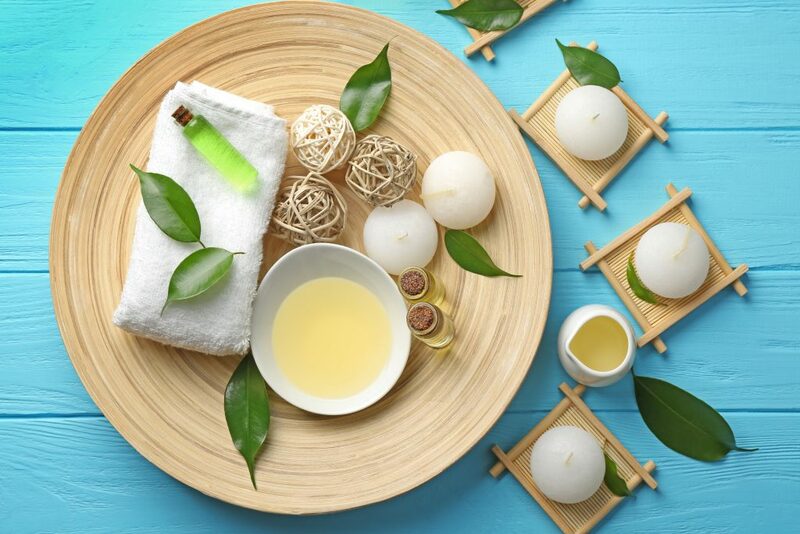 Lemon Oil helps clear greasy skin and hair, as well ease cold sores, irritated skin, and insect bites. I always dilute lemon oil in a carrier oil of my choice before using it on my skin and so should everyone. This helps me avoid any kind of skin irritation from happening. In addition, lemon oil may cause light sensitivity in the areas where it has been applied topically, so do not use it before being exposed to sunlight. Chamomile soothes skin irritation, and calms the nervous system. It helps with menstrual problems, and it also has analgesic and anti-allergic properties. 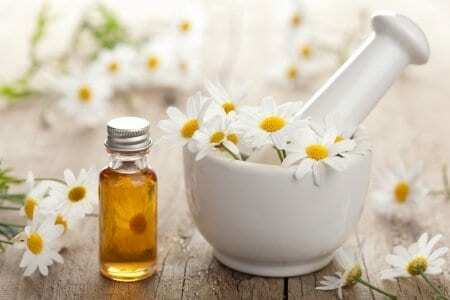 Chamomile is generally safe to use undiluted on skin. Not enough is known about safety during pregnancy if used topically, but it seems reasonable to stay away from Roman Chamomile altogether if you are pregnant. Frankincense comes from the resin of a family of trees native to the Middle East. The bark of the tree is slashed, and the resin that seeps out hardens to form solid drops called tears, which are processed to produce the Essential Oil. The species of tree used for producing Frankincense Essential Oil is Boswellia Carteri. Frankincense has had medical and religious significance for thousands of years. It has antidepressant properties, and it has been used to soothe skin conditions such as acne, cuts, inflammations, and burns. Frankincense Essential Oil can be applied undiluted in most cases, though it is common to make a blend using a carrier Oil. Eucalyptus Essential Oil reduces swelling in mucous membranes. It also fights respiratory problems as well as inflammation. It can be used to treat a variety of skin issues, such as cuts, wounds, and infections. Eucalyptus Oil is definitely not safe to ingest undiluted, and can be fatal if given large enough doses. For inhaling and topical uses, Eucalyptus Oil appears to be safe for use. Tea Tree is a name that’s applied to a range of different, unrelated plants. Tea Tree Oil, also known as Melaleuca Essential Oil, is produced from Melaleuca Alternifolia, a large shrub native to the east coast of Australia. Tea Tree Oil is extracted from the leaves of the Melaleuca plant. Tea Tree Oil has long been used as a treatment for wound infections. It is an antiseptic, and it kills bacteria, viruses, and fungi. Furthermore, Tea Tree Oil helps with a range of skin disorders, particularly fungal infections. Lemongrass Oil can be used as a painkiller. It also has antifungal and antiseptic properties. Finally, it helps in clearing oily skin and acne, as well as in relieving painful or itchy skin. Cypress Essential Oil helps clear Oily and congested skin. It is also generally used in a number of other skin care applications. Furthermore, it is a vasoconstrictor and can help with varicose veins, and it alleviates excessive sweating. It is very dangerous to ingest any essential oils. 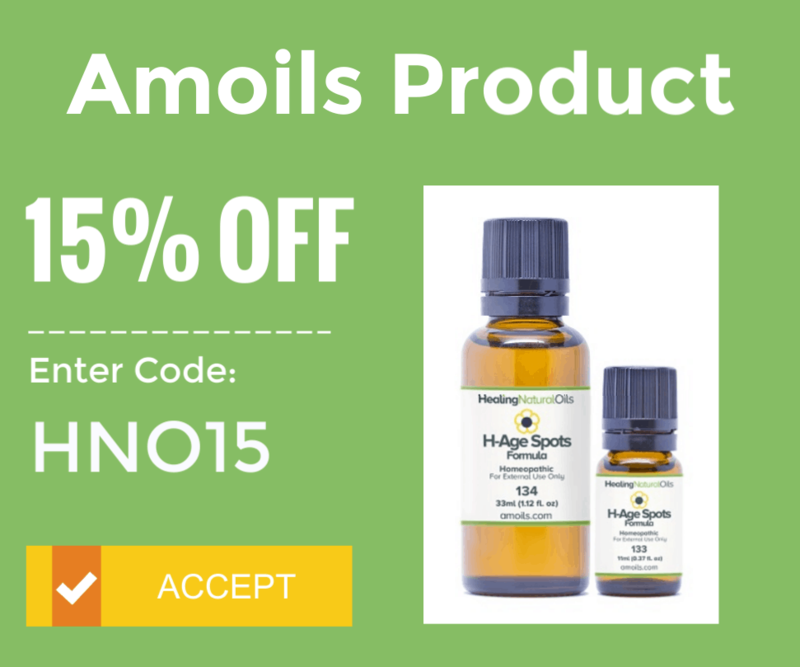 All essential oils should be diluted in a carrier oil prior to applying to the skin. And, always remember to do a test patch before any application. Below, I’m including a list of essential oil recipe for allergies in general or with specific allergy symptoms. I’ve tried several of the recipes myself and found them to work wonderfully. Also, be cautious as you try out a new Essential Oil protocol. Start off with smaller doses to see how your body reacts, and then apply the entire recipe. In addition, the recipes below are only the starting point. You can combine them with additional Essential Oils that you find beneficial, and you can use them in other ways (for example, in a diffuser or in a bath). I use Almond Oil as a carrier Oil, and that’s what the recipes specify, but you are free to choose something else, such as Jojoba Oil, Grapeseed Oil, or Olive Oil. Lavender, Peppermint, and Lemon are the most commonly prescribed combination of Essential Oils to help with allergies. The three Oils combine to provide a powerful antihistamine effect as well as to soothe allergy symptoms, and the mixture has helped many people overcome their allergies naturally. The simplest and safest way to use this combination is to mix 3 drops of Lavender, 3 drops of Lemon, and 2-3 drops of Peppermint with an ounce of Almond Oil. Rub this over your palms, cup your hands over your face, and inhale. Alternately, rub the mixture over your chest and collarbone area. Because Lemon Essential Oil can cause photosensitivity, do not apply this mixture to areas of your skin that will soon be exposed to sunlight. You should immediately feel relief from most allergy symptoms using the Lavender, Peppermint, and Lemon mixture. You can generally repeat this protocol several times a day for several days in a row, as your symptoms begin to disappear. Glass bottle with metal rollon filament (optional). This recipe is meant for applying to sensitive areas of the skin. The Peppermint in the first recipe might be irritating to the skin around the eye, and the Lemon might cause light sensitivity, which makes it impractical for use. Instead, the combination of Lavender, Chamomile, and Frankincense work to both reduce the allergy by calming your immune system, as well as to soothe the irritation, itchiness, and swelling that allergies are causing your skin. The recipe is simple: combine 5 drops of Lavender Oil, 4 drops of Roman Chamomile Oil, and 3 drops of Frankincense Essential Oil with a teaspoon of Almond Oil. For convenience, I put this into a small glass bottle with a metal roll-on filament that I could then carry around with me. I simply used this roll-on around my eyes every few hours as I felt the itching come on for instant relief. Within several days, the itching, redness, and swelling disappeared completely. A congested or runny nose is one of the most common symptoms of allergies. The ingredients in this Essential Oil recipe help relax and open the airways and tissues of the nose, throat, and lungs. They also tend to reduce the inflammation of the mucous membranes. This mixture is similar to the proprietary “Breathe” Essential Oil blend sold by several companies. To inhale this blend, mix two drops each of Peppermint, Eucalyptus, Tea Tree, and Lemon Essential Oils. Use this for steam inhalation or in a diffuser. To apply this blend to your skin, use the same amounts of Essential Oils as for inhalation, but mix this with an ounce of Almond Oil. Rub this into your chest and around your collarbones and inhale. What you will need: Lemongrass Essential Oil, Tea Tree Essential Oil, a diffuser. Some people have mold allergies, and for these people, molds and funguses can set off typical allergy symptoms such as a runny, stuffed-up nose, itchy and watery eyes, and a rash or hives. Most of my allergies are related to the presence of molds in my house. If you are like me, then this recipe is for you. Lemongrass and tea tree essential oils both have antifungal properties that’ll help neutralize the mold in your house, while at the same time giving you some relief from allergy symptoms. Use 3-5 drops of Tea Tree Oil and the same amount of Lemongrass Oil in your diffuser. Alternately, if you’ve got an air intake filter in your house, you can drip the same amount of the two Essential Oils on your filter. Hives are the red, itchy patches of skin that appear as a result of many allergies. Chamomile and Lavender both soothe irritated skin. They will reduce the itchiness, the redness, and the swelling. Also, it is my experience that Lavender has strong antihistamine properties, and that the hives will disappear entirely within several days. To treat Hives with this blend, combine 10-15 drops of Chamomile Essential Oil and Lavender Essential Oil in 20 oz of water. Soak a washcloth in the mixture and gently wipe the affected areas for immediate relief. Alternately, you can also mix the Essential Oils with a carrier Oil such as Almond Oil, and apply this to the area where you have Hives. This is another good recipe to help you out if you are fighting congested sinuses that stop you from breathing, give you headaches, and drive you insane. Eucalyptus Oil and Tea Tree Oil both have powerful anti-inflammatory effects on the respiratory system, while Cypress helps relieve excess body fluids. For this recipe, you will want to either steam inhale the mixture, or to apply it to the skin on your chest and at the base of your neck. If you are inhaling, use 4-5 drops of Eucalyptus Oil, 4-5 drops of Tea Tree Oil, and 2-3 drops of Cypress Oil in a bowl of hot water. Cover your head with a towel, and breathe in. Make sure to keep your eyes closed, as they can get severely irritated from even small amounts of Essential Oils. Often, allergies will cause itching even when there is no visible rash. Fortunately, the same Essential Oils that help with other allergy symptoms can help here also. Simply dilute 2-3 drops of Lavender and Peppermint Essential Oil in an ounce of Almond Oil, and gently spread this across the areas that typically begin to itch. The three Oils will work to both relieve the irritation you’ve brought on by scratching yourself, as well as to prevent further itching breakouts. The simple act of inhaling Essential Oils can bring in great relief. Diffusing them into the air can help you avoid unwanted odors and problems caused by unwanted pathogens. 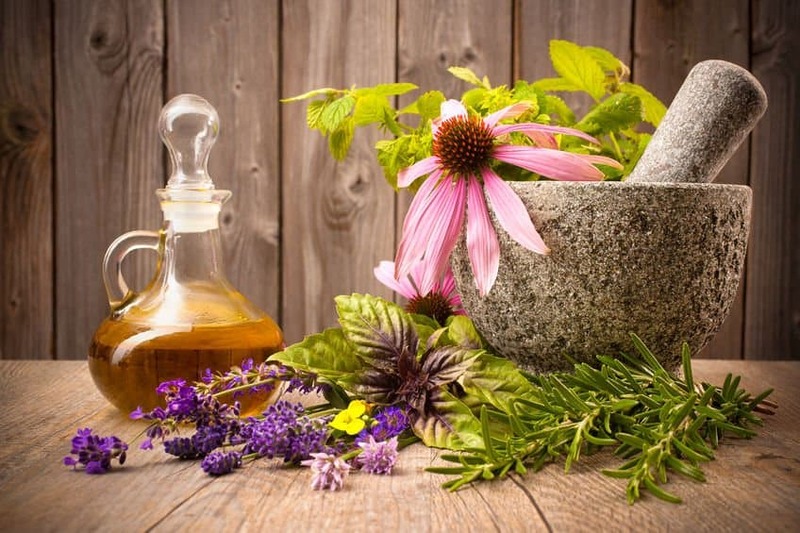 Some Essential Oils can be used as dietary supplements and help you avoid various health issues. Some Oils are known to mimic estrogen. Therefore, those undergoing puberty should consider avoiding the use of Essential Oils as they might cause overgrowth of breasts in boys. Essential Oils are still not approved by FDA. Therefore, there is a likelihood of them interacting with the medications a person might be taking. I hope you have been interested in the potential that Essential Oils offer, and that you will give them a try using some of these recipes. With a bit of patience and experimentation, Essential Oils can be extremely helpful with a wide range of issues related to allergies. Once you try them and find a recipe that works well for you, you will probably get hooked, learning more and figuring out how else Essential Oils can help you in your everyday life. What Are The Best Essential Oils and Recipes For Asthma Relief And Treatment? 😀 Indeed, tea tree is one of those versatile essential oil that has many uses and benefits. Hi Olivia you are changing people’s lives… Can you help change a dog’s life too? I am wondering if I can put some of these essential oils on my dog for her or should I just stick with the diffuser? Thanks you are one of the most helpful people on the internet! Also acne starts with the gut so if you tell people to use homemade bone broth to prevent the pimples from coming and the essential oils to heal and help with spots. Sure, you are welcome. You can indeed use essential oils on your dog. It just depends on what you are trying to achieve. I have a post about essential oils for dogs below, please check it out and let me know if this answers your query. Thanks for the tip about acne. Do you have anything I can use on my diffuser with a CPAP machine? I have sinus problems with allergies. Mostly being plugged up. It is best not to use any essential oils with the CPAP machine as the oil could end up deep into your lungs and cause lung irritation. It is best to use water (preferably distilled) and clean your machine regularly to avoid build-up of contaminants and mould. I found something online called Pur-Sleep. The system includes paper wafers about the size of a quarter that you put essential oils on, and metal stands. You put the wafers in stands in front of the air intake for your CPAP machine. That way you get the benefits of the aromatherapy without ruining your CPAP machine. I like it! Thanks for sharing your experience, really appreciate it. I have a Yorkie dog that has allergies year around. He has been diagnosed with environmental allergies and scratches incessantly. He is on medication but still scratches. Do you think diffusing EO would help him and what do you recommend trying. Any suggestions you can give me would be greatly appreciated. I will have a full post on essential oils for dogs within a month. There are some do’s and dont’s when it comes to using essential oils on dogs. If you are subscribed to my newsletters, you will receive automatic notification when I publish the article. Please do not tell people that it’s safe to use ANY essential oils undiluted. It is NOT. And is most certainly not safe to ingest them!!! Thanks for pointing this out. It is clear that 1. noone should ingest essential oils; 2. essential oils should be diluted in a carrier oil prior to applying on the skin. IiAppreciate all this info!! Should I use the rosacea or hives or eczema blend if I have raised red blotches around my mouth and on my chin. They are not itchy. Thank you. One of the symptoms of rosacea, hives and eczema are red itchy areas of the skin. It would be best to consult your doctor to find out the cause of the red blotches before you start using any of the essential oil recipes. And when you start to use essential oils, make sure to do a test patch beforehand. Would just like to be signed up up for your newsletter. Thank you! Indeed, simply fill in your details and you will get a link which you can click on to be subscribed immediately. If any issues, please let me know. Lavender essential oil actually gives me hives, what else can I use? You could use Neroli or Geranium essential oils. If you prefer a citrus aroma, try Bergamot essential oil. I have a constant drip down my throat, my nose running daily.i am so miserable. I work in a dusty environment and along with my home environment it’s awful. Help me please. I understand it must be a very hard situation that you face at work. Essential Oils will help as long as you don’t keep being exposed to the dusty environment. In the meantime, try these tips to cut the number of allergens at work: 1. Try to keep your work area dust-free as much as possible, 2. Try using a HEPA filter around your work area and ask your employer to have air filters changed frequently. The Essential Oil which will provide relief is Eucalyptus oil. You may use it in a facial steam: once you have boiled water for your facial steam, add about 10 drops of Eucalyptus essential oil to the water. Cover your head with a towel and inhale the steam. An essential oil diffuser in your room at night will also help. If this is affecting your health, it is time to see an Allergist. Please check out the recipe within this post for the treatment of Hives. Basically you will need Lavender, Chamomile and Almond Oil – follow the directions to make the blend and apply it to the affected areas using a washcloth. Try it out and let me know whether it works for you. I suffered with chronic hives for almost ten years… try a diy body butter using peppermint essential oil. Tried everything under the sun to mitigate the intense itching and burning brought on daily by uticaria. Had to take Atarax daily. Peppermint eo is the ONLY thing that helped me…but please dilute and I no longer have uticaria. Hope this helps. Thanks a lot for your comments. I really appreciate it as I am sure it will help a lot of people with uticaria. Simply combine approx. 10 drops of chamomile and 10 drops of lavender essential oils in 20 oz of water. You may add almond oil, but it is optional. You can mix it directly in a small bottle which you can also use for storing. I love using essential oils. I can’t wait to try some of these recipes! Thank you for posting them! Love this! I never used oils myself but after a horrible reaction with ear drops that were OTC, I have been trying to find natural based remedies for me and my son, as well as my hubby. I really appreciate that you took the time out to share the recipes and explain why they work. You have no idea how helpful this has been for me!